Price: $10 cover at the door, no reservations needed! 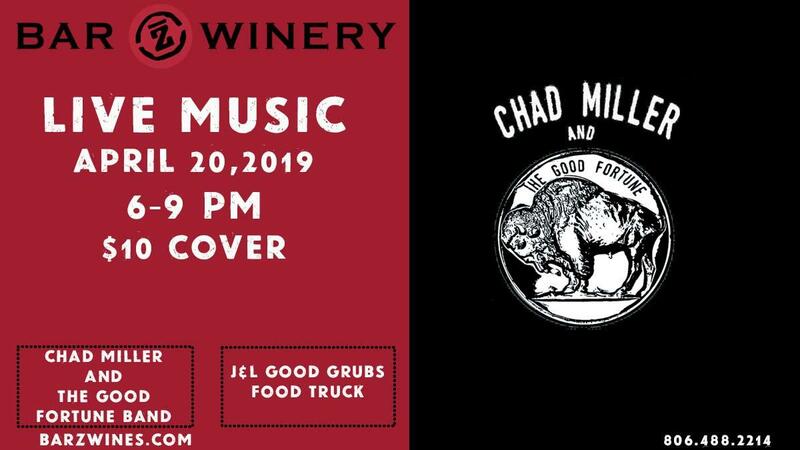 Live tunes from Chad Miller and The Good Fortune band! 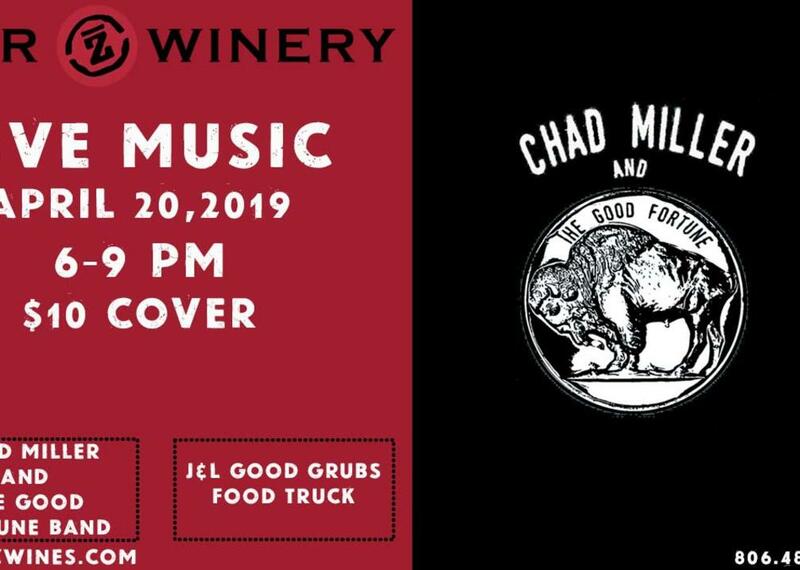 Grab your gang and come out to enjoy 100% Texas wine and great food from J&L Good Grubs food truck!